RAY Teams Up With YouTube Stars SMOSH!!! 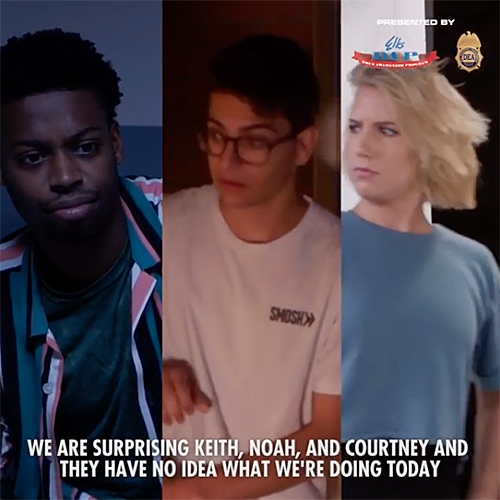 ELKS Drug Awareness Program and the DEA partnered up with Ray and SMOSH, for a powerful & emotionally driven campaign to bring awareness to the affects of drugs and what they will take away from youth. The video, Facing Addiction, stars the SMOSH team and Ray! The Elks DAP & DEA worked with Ray Lozano and SMOSH to create this very important video! Please visit http://bit.ly/ElksKidZone & http://bit.ly/JustThinkTwice_ for more info. A Single Moment Matters! Red Ribbon week is Oct. 23rd-31st! Thank you to the Elk’s Nation Drug Awareness Program and SMOSH for an unforgettable experience!